Self-described as a “product with a purpose,” My Infinite Agenda is all about dreaming. You have the power to shape your thoughts, and therefore can set your mind on fulfilling whatever your heart desires. I don’t know about you, but I find that supremely inspiring and empowering. The first thirty pages are reserved for the first and most important steps of planning: gratitude, short-term goals, long-term goals, wildest dreams, and a vision board. A few pages for each, there are prompts to help you put your intentions to paper, whether that be in writing or in pictures. Once that’s done, it’s time to get down to business. At the start of each month, there is a single page monthly calendar – not quite big enough for any planning, but more for reference in my opinion – and a few questions to help you get focused for the month ahead. The weekly spread is, well, spread over four pages – three for the seven days, followed by a notes page. 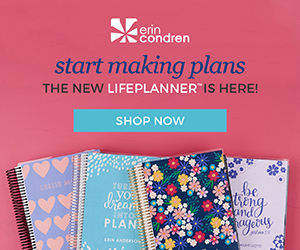 By now you should know what my biggest planner pet peeve is. Why are Saturday and Sunday not given the same real estate at the weekdays? As a mom who’s also active in church, it’s not uncommon for weekend days to be just as if not busier than the rest of the week. That aside, I actually do like the unique layout and consistent reminders to stay grateful. As expected, My Infinite agenda rounds out the year with a page of reflection, a place to look back, celebrate the previous year, and plan ahead for the next one. If you don’t mind a little bulk (and the whole abridged weekend thing), My Infinite Agenda could be a great pick for you. I can definitely see it helping people that are new to planning or people who simply want to take a more proactive approach to setting and reaching their goals. If you’ve used it or something similar, I’d love to hear how it worked for you.